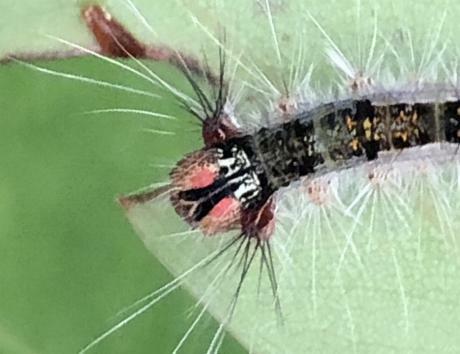 This Caterpillar is hairy and initially black with a white thorax. 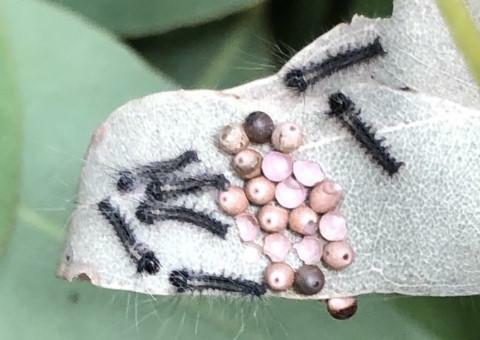 Later instars become black with long white hairs, and have a pink head with a central broad black stripe. The prothorax is black with white markings, and has a red knob each side. 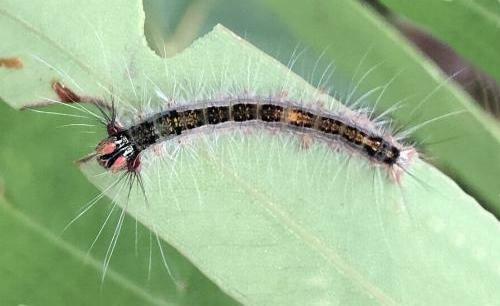 The adult male and female moths are different in appearance. 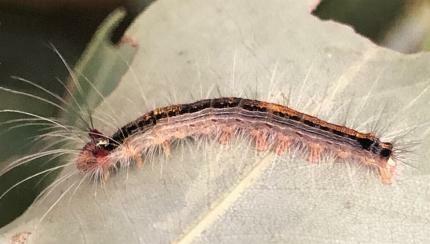 The male has brown forewings shading darker at the bases, and dark brown hindwings with broad orange margins. The males have a wingspan of about 4 cms. 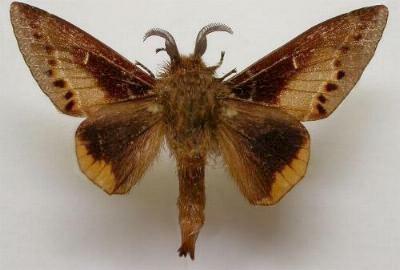 The female moth is much larger, and has pale grey or brown forewings, each with a submarginal arc of dark dots. 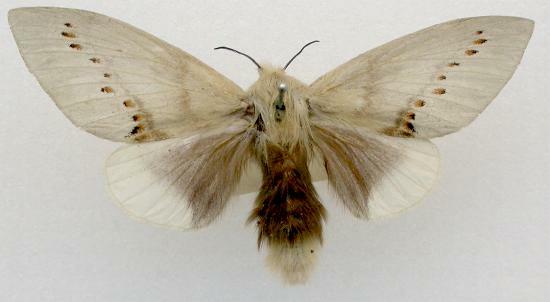 The hindwings are darker with broad white margins. 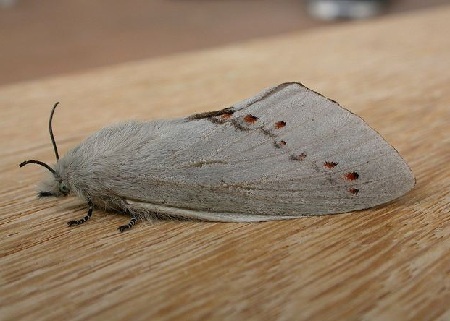 The females have a wingspan of about 6 cms. The eggs are pale brown and spherical, with a pale circle containing a dark spot, at one end. 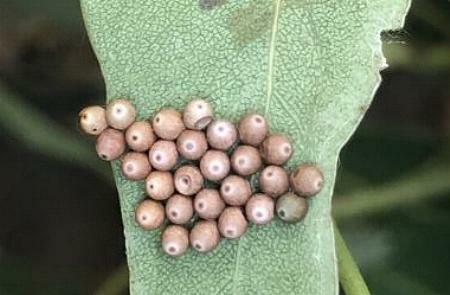 The eggs are laid in regular arrays of 20-30 on a leaf of a food plant. Entomological Society of Victoria, 2008, pp. 14-15. Part 32, Supplement 2 (1865), pp. 556-557.